Outisde: ice skating on the Rink of Dreams, hot chocolate, roasting marshmallows and horse-drawn wagon rides on Mario Dewar Plaza. Inside: meeting Santa and Mrs. Claus, decorating a gingerbread cookie in Santa’s bakery, face painting, and live performances. Special treats from BeaverTails and Lindt. 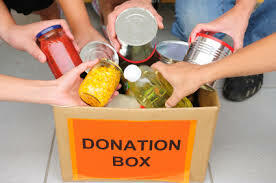 Admission: a non-perishable food donation to the Ottawa Food Bank. OC Transpo will offer free bus rides on all routes to and from City Hall from 2:30 pm-7:30 pm to children 11 years and under when accompanied by a fare-paying adult. Donations needed: upwrapped gifts for children, new mittens, hats, scarves; toiletries for women; household and kitchen items, etc. Monetary donations to cover the expenses of a Christmas meal and gifts for women and children who are homeless, live in poverty or are socially isolated. Send your cheque by mail to address above.